The nanny we interviewed wants guaranteed hours. What is this? Home / Our Blog / The nanny we interviewed wants guaranteed hours. What is this? Hiring a nanny is an important decision and there are likely many questions going through your mind. Setting hours and understanding how much to pay your nanny is an important part of the process, and there are various terms that are used that you may be confused about. Salary and guaranteed hours are terms that are often used interchangeably, but in fact, they are completely different. If you’ve wondered what guaranteed hours are, we’ll break it down here for you. Guaranteed hours are specific hours that you guarantee that your nanny will be paid for, so she can rely on a consistent paycheck. For example, if you guarantee that your nanny can work 40 hours a week with your family, but sometimes you don’t need her for all of those hours, you still must pay her for those hours worked, regardless if she works them or not. If your family decides to take a vacation for a week and not bring the nanny along, she still gets paid for that week, even though she is not working. 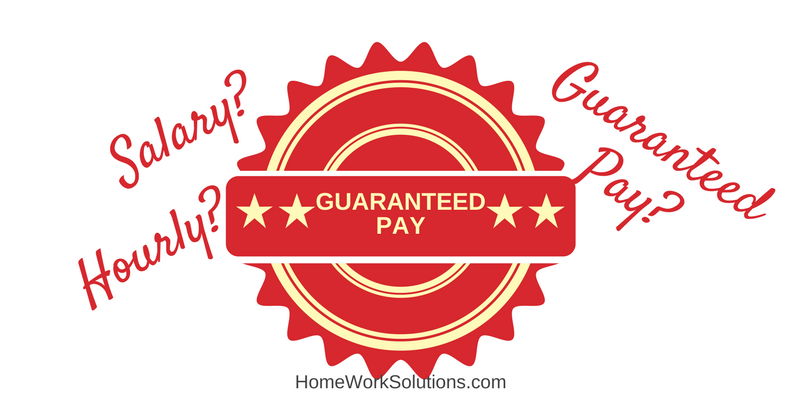 How does a salary differ from guaranteed hours? A salary is a set wage that a person gets whether they work more or less than their designated set hours. However, nannies and other household employees cannot be paid a true salary, because according to the law, they are non-exempt hourly employees. Nannies must be paid an hourly wage, not a set salary each year. If nannies work more than their designated weekly hours, then they must be paid hourly on top of that with appropriate overtime. A salary does not allow for this. Nannies must always be paid an hourly rate and if they aren’t being paid that, then you are not following federal wage laws and you could run into trouble down the road. Offering your nanny or caregiver guaranteed pay is an important benefit to your nanny and most professional nannies demand this. Offering this benefit will help you hire and retain the best caregivers. Hiring a nanny for your home has a different set of rules when it comes to wages and labor law. It can be confusing at first, so it’s important to do your research and talk to a household payroll specialist if you need additional clarification. Contact us today for more information!